All hail silent keyboard fans! – Nope, I don’t mean silent keyboard coolers, but actual people. Razer fans love the Blackwidow keyboards series for their tactile, springy and accurate keys — but not everybody loves how loud they are when clicked, at gaming which is most of the time silence is a must. If you’re looking for a clicky feeling without an audible click, Razer has now a solution. 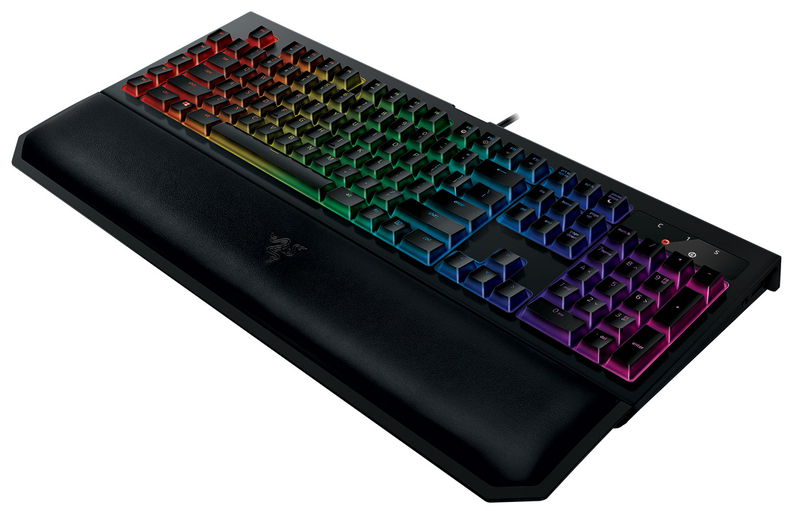 Recently, the company announced a new refresh to Razer Blackwidow mechanical keyboard, and quieter one. It’s basically the same layout as the company’s previous Blackwidow mechanical keyboard, but with two key differences: a detachable magnetic wrist rest, and a new ‘silent’ custom-made mechanical key switch. Razer says the new keyswitches are built specifically with FPS and MOBA players in mind, featuring silent actuation and a shorter travel distance, allowing players to input more keystrokes per minute without adding a background noise to their game. The keyboard’s palm rest doesn’t look too special as far as typing cushions go, but its magnetic attachments should make it easy to install and remove. As always, it also supports Chroma lighting, Razer proprietary branding for RGB lights. You can now get these new Blackwidow keyboard at any Razer Store near you!